This blog has run its course. 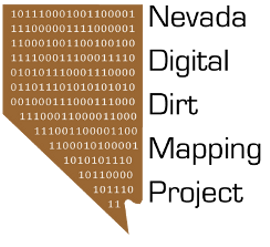 The Nevada Digital Dirt Mapping Project Experiment is over. Our mapping team demonstrated that it is feasible to develop a 1:150,000 scale surficial geologic map of 20,000 square kilometers in 18 months. Our approach represents a valid model for collaboratively developing geologic maps of large areas in short periods of time. Thank you for your interest in our endeavor. go live with the map. Now, to finish that darn report by 3 PM tomorrow. The colorful map shows the compiled linework that we started with. many, many additional lines. Note that we simplified the bedrock. Thus, some of the line density decreased as well. See a mistake? Keep it to yourself. Our team collectively put a few 1000 hours into this product. It is the only complete map of the surficial geology of Clark County, Nevada that you are going to find. This is getting closer. Have had to impose a moratorium on additional mapping at 3 PM tomorrow. today. Working on the report.